With an extensive understanding of conventional and Solar Energy, we render superior quality services with minimal maintenance encompassing Residential, Commercial, Educational and Charitable organizational spaces. We do this by generating large and small-scale concentrated solar power and Photovoltaic systems designed for various solutions. This also includes specific Solar solutions for Petrol pumps & Parking areas. With endless Solar energy and availability of infinite applications, it is a win-win situation for both the humanity and the environment. We are fully committed to accomplishing this in all possible ways associating with customers. 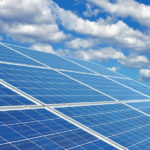 Grid-connected solar rooftop consists of solar panels, a power conditioning unit consist of the solar charge controller, several inverters and grid connection equipment ranging from commercial, residential and other institutional rooftop systems to large-scale utility power stations providing excess power. Since sunshine is not available all the time Solergy Renewable’s Off-Grid Solar Rooftop will be your energy solution. The off-grid solar rooftop is designed in a way that it provides electricity from solar panels independent of the grid. It is a stand-alone system saving the cost of the backup power generator. It’s a perfect solution for independent houses, warehouses, industries or places facing acute power shortages and load-shedding. It’s a perfect solution for independent houses, warehouses, industries etc. Solergy Renewables LLP is creating the future now by their solar parks and farms also known as solar ranches which produce safe renewable energy for several years. Solar farms generate electricity locally and feed the grid using natural sources. Most nature-friendly power generator which is safe even for wildlife including endangered species such as bees, etc. Many solar farms are also used for farming and also animal grazing successfully along with solar power generation. Made up of thermosiphon solar system connected with a collector and a storage on the rooftop generating hot water without any electricity. The quality and quantity of light is a concern not only because of our comfort but also safety and productivity. Replacing general lighting with Solergy Renewable’s efficient lighting makes it a completely safe, eco-friendly and cost-effective solution. Photovoltaic modules store the converted energy in a battery that is used in street lights. Solergy Renewable’s Solar Street Lighting is an ideal solution not only for commercial spaces but also for remote locations where there is the shortage or no electricity. Reliable, Maintenance free, completely safe, the ideal design for low power consumption. Electricity can also be generated from other powers of nature like wind or waves from the sea. So, at Solergy Renewables, we do not limit our services to natural Sunlight. With a deep concern for our nature and Earth, which resonates with SOLERGY’s core Mission and Vision, we also help our customers to implement and integrate Wind power plants with Solar solutions. Ideal when there is less or no sunlight but enough wind velocity in that area. With a deep concern for our nature and Earth, which resonates with SOLERGY’s core mission and vision we also help our customers to implement Rain Water Harvesting for saving water during rainy days to be used later. To help our customers to reduce their dependency on highly polluting and costly grid-power or petroleum products, we also offer highly efficient, environment-friendly green products. 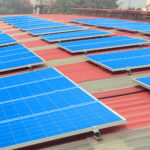 We do supply and installation of Solar Air Conditioners, Solar Fans, Solar Emergency lights with in-built flash and mobile charger, Solar Lanterns, Solar Cookers, Solar Garden Lightings in classical/ethnic designs, Energy efficient Fans, Electric Scooters, Solar E-Rickshaw, Solar-incubators for hatching, Solar-driers for agricultural and animal products etc. At Solergy Renewables LLP, we endeavour to promote healthy and green living, in households, commercial and at other institutional spaces. We are here to power the future! Shop No. 16, Satyam Arcade, Sector-15, Opp. Central Bank, Kamothe, Navi Mumbai-410209.